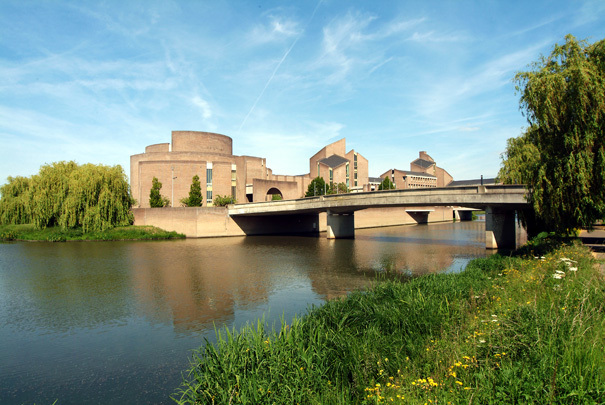 Standing in the water-meadows of the River Maas, this government building for the province of Limburg comprises a number of cruciform brick volumes of varying height with sloping roofs. Stairs, lifts and toilets occupy the centre of each cross. The State Room consists of a circular conference hall surrounded by half ring-shapes of diminishing length containing circulation space and facilities. The civic/ceremonial portion sits on an artificial island.